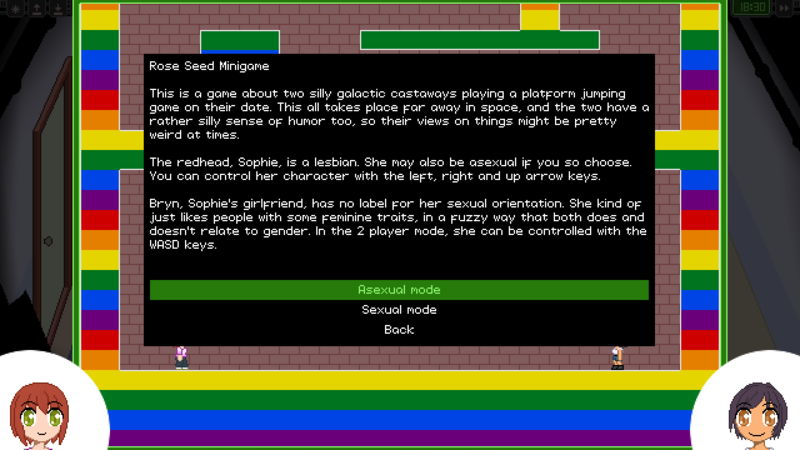 Rose Seed Minigame is a game about two silly galactic castaways playing a platform jumping game together on their date. This all takes place far away in space, and the two have a rather silly sense of humor too, so their views on things might be pretty weird at times. The redhead, Sophie, is a lesbian. She may also be asexual if you so choose. You can control her character with the left, right and up arrow keys. 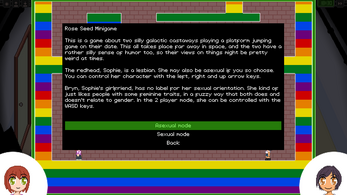 Bryn, Sophie's girlfriend, has no label for her sexual orientation. She kind of just likes people with some feminine traits, in a fuzzy way that both does and doesn't relate to gender. 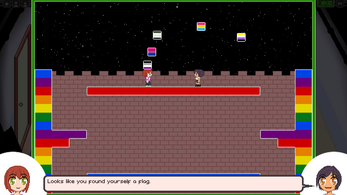 I developed this game from scratch for the Queerly Representing the Unrepresented jam in 2018. 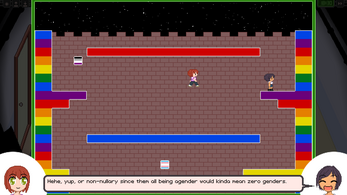 I'll likely update the game quite a bit over time since it's rather incomplete in many ways and I intend to include it to my upcoming game, Rose Seed Replica, in a more polished form too. I downloaded the game but when I tried to open it, it said, "Loading the JVM failed." I'm using Windows. Hi, thanks for letting me know! Did you download the game as a zip and double click the exe, or did you install it with the Itch client? I'll try to come up with something either way, but it might help a bit to know. I downloaded the game as a zip file. 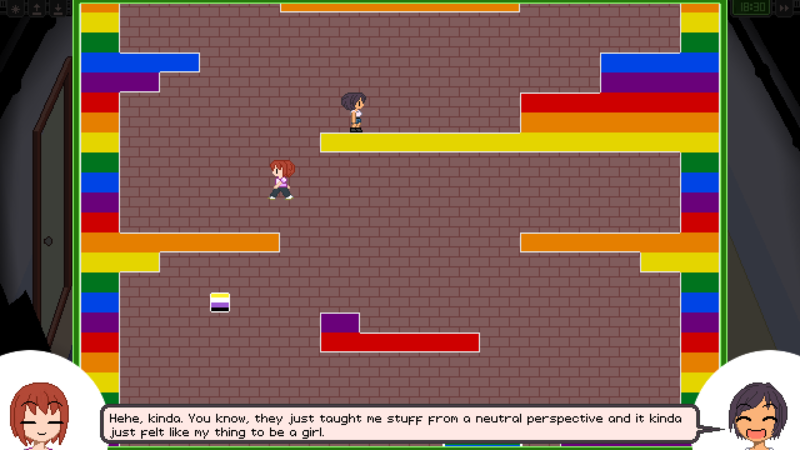 I was thinking about it today and I think I might have extracted the game wrong, haha. I'll try it again when I'm on my computer and let you know if it works.